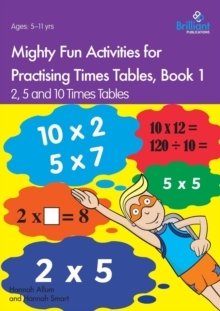 Mighty Fun Ideas for Practising Times Tables is a three-book series of reproducible worksheets providing fun games and activities to make learning the times tables fun. 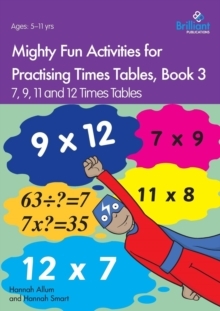 Superheroes are used to motivate children to practise all of the skills needed to solve multiplication, division and word based times table problems.These enjoyable sheets will help children to: recall and apply times tables rapidly; increase mathematical fluency; understand and use a variety of mathematical language; make connections between multiplication and division; develop mathematical reasoniong. 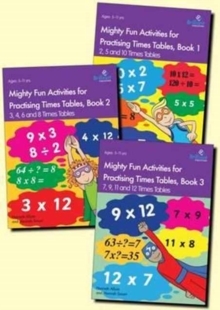 Each book contains: teacher's notes, giving ideas for assessment and parent involvement; over 40 worksheets; games and ideas requiring little or no preparation time. 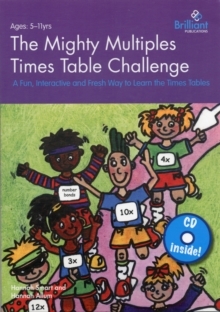 The focus of this book is the 2, 5, and 10 times tables. Children learn in different ways and need to have opportunities to apply their knowledge and skills. 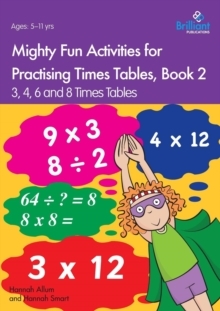 For each times table there is a mixture of practical activities to develop their understanding and written activities to consolidate their knowledge.